This tallish, hairy perennial is actually a member of the Honeysuckle family, as are the many other true Scabious species. This pretty wildflower varies in colour from pale pink to pale mauve. Knautia arvensis is widespread and fairly common throughout Britain and Ireland except for the far north. 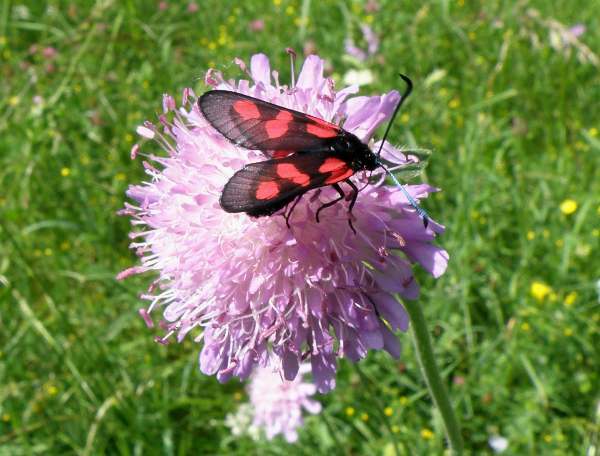 Field Scabious is also found, along with other very similar species, in many parts of Europe; we have seen it in Slovenia in the Triglav National Park as well as in France and Italy. 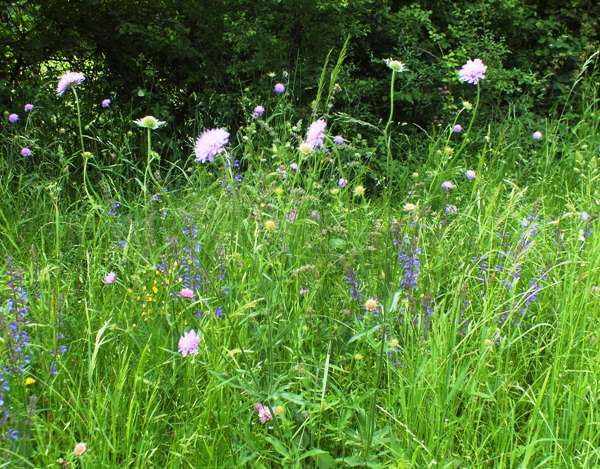 You are more likely to see Field Scabious growing on dryish soil, so open places are preferred to woodland edges. The common name Scabious comes from scabiosa herba, the scabies herb, because it was thought to be an effective treatment of that disease. 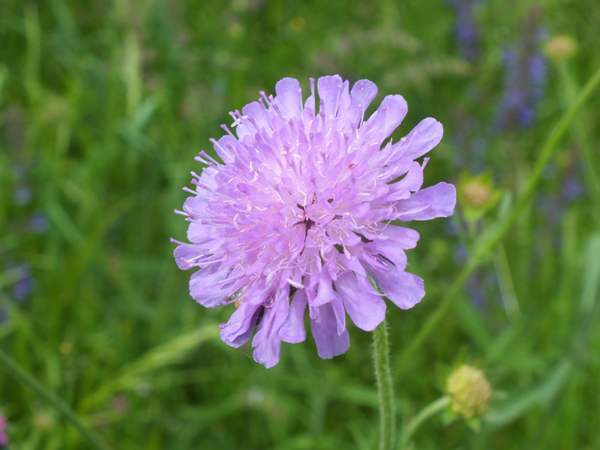 Other common names given to this wildflower include the Pincushion Flower and Lady's Pincushion.